These movies say it all! 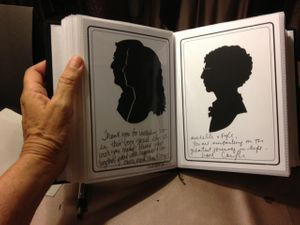 Having a Silhouette Artist at your wedding or party is a very special treat for your guests. 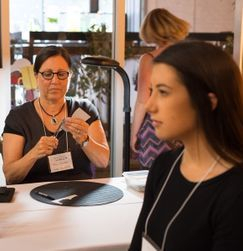 Varin will cut your guests portraits and they will take home a gift they will treasure for many years. Imagine what a unique favor that would be! If your event is not in Florida, Varin will be happy to travel! She has been hired for events in San Francisco, Philadelphia, Texas and Oklahoma. Fees vary according to time and place. Please contact Varin for a quote. 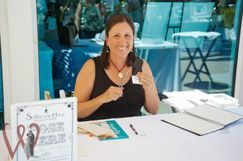 In addition to providing a Silhouette for your guests, Varin can create a Guest Book for your guests to sign from duplicates cut at the same time. The Guest book above is the Guestbook I provide. 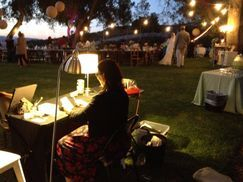 Below, the client preferred that I use the Guestbook she provided. Full length paper-cut portrait is available from photos. Please inquire. Sweet Silhouette by Varin is AWESOME! I've seen her incredible work time after time at weddings we've catered and it is always the biggest hit! Her silhouettes are created to perfection and FAST, I was so blown away to watch her work. Varin is a joy to work with, completely professional (always on time with all the proper equipment needed), and never disappoints. 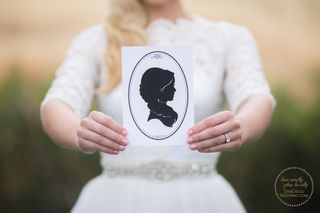 If you want to spice up an event with an interactive silhouette station, or just want the perfect single silhouette, Sweet Silhouette is the way to go! 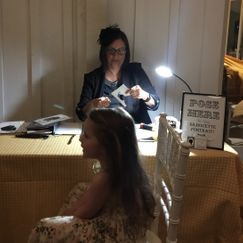 -The Abbey Catering & Event Design Co.
Varin recently was hired to cut silhouettes at my daughter's wedding at the Grand Tradition. She was truly the highlight of the wedding for our guests. Almost everyone walked away with a favor of their silhouette cut by Varin. They were so happy and still to this day one month later I receive calls texts and Facebook posts of peoples silhouettes. Varin is such a joy to work with and is one of the kindest, most talented people I have met. The Bat Mitzvah we did together was fabulous! You did an awesome job with the kids and your work is impeccable! The client raved and the guests were amazed at your talent. I look forward to working with you again! 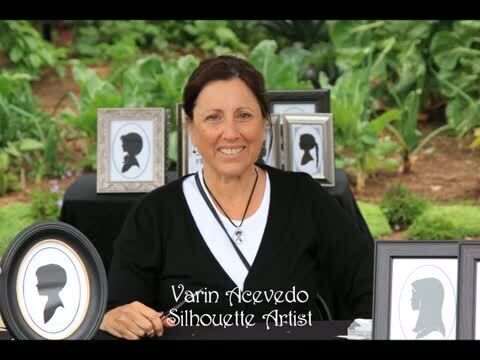 "Varin created beautiful custom silhouettes for the guests at my wedding. It was a hit! Guests got to leave with a personalized memento of the day and they also had a great time watching Varin perform her craft. Also, Varin is wonderful to work with. I highly highly recommend booking her for your event. Her service is really a treat!" "People loved her and she is so talented. Great idea and we are so glad we booked her for our corporate event (300 ppl)." Varin was a hit at the wedding! 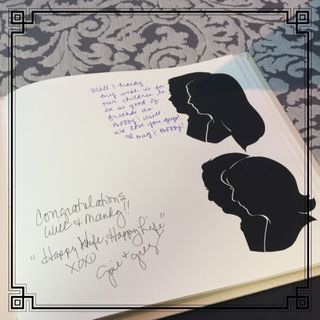 My guests were so thrilled with the way she captured their likeness-- they loved being sent home with their silhouette in hand as a take home gift & thought it was the coolest guest book they'd ever seen! 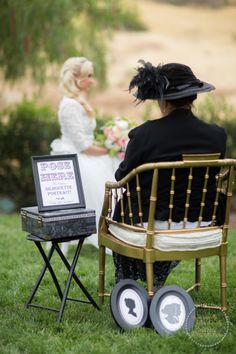 She is incredibly talented & also accommodating-- I had many detailed requests (specific attired complete with a fascinator & specific table cloth request among some) & she rolled with it. Varin is a joy & is worth every penny! Here are a FEW of the wonderful weddings, Parties, Bar/Bat Mitzvahs I have participated in. Each event is different. Please give me the basic details and I will be happy to give you a quote.